CDM – What Do We Do Now? A new cyber executive order signed by President Donald Trump makes clear that the heads of government agencies will be held accountable for managing security risks across their organizations. However, in order to manage your security risks, you first have to know what your security risks actually are. 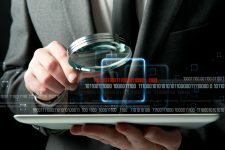 A few years ago, the government created the Continuous Diagnostic Mitigation (CDM) program to establish a baseline approach for agencies to improve their end-to-end security posture. In essence, they wanted to know where and when these security breaches were occurring. The problem though, is that CDM is time and labor intensive. The issue boils down to the fact that agencies need to decrease the time to compromise and time to detect, but current CDM solutions are just too slow. So what can be done? Join us on-demand as we explore the next era in cybersecurity evolution, where new architectures can scan enterprises for affected systems in seconds, and execute remediation moments later. How the new executive order puts a priority on risk mitigation and how new technologies can help answer this mandate. Why the need for improved data sources and scanning are necessary to improve security. How by improving the speed of detection, agencies can actually save money and enhance security.